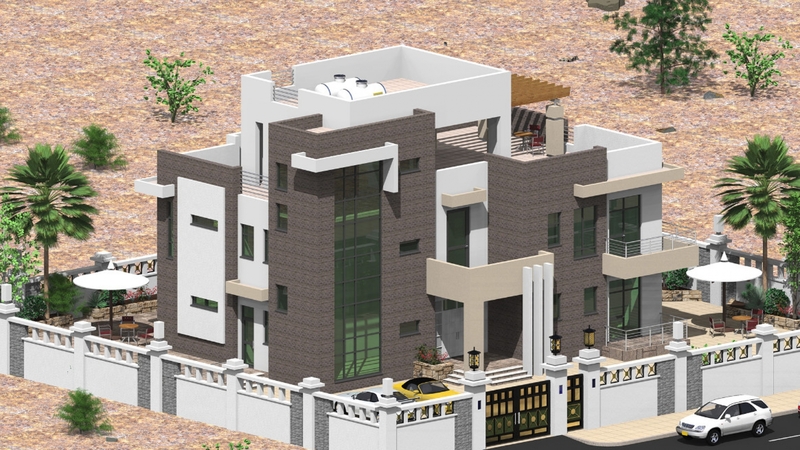 Family villa, designed for private client in west side of Hargeisa city. The villa is built on plot of land size 24m by 18m meters on flat land. 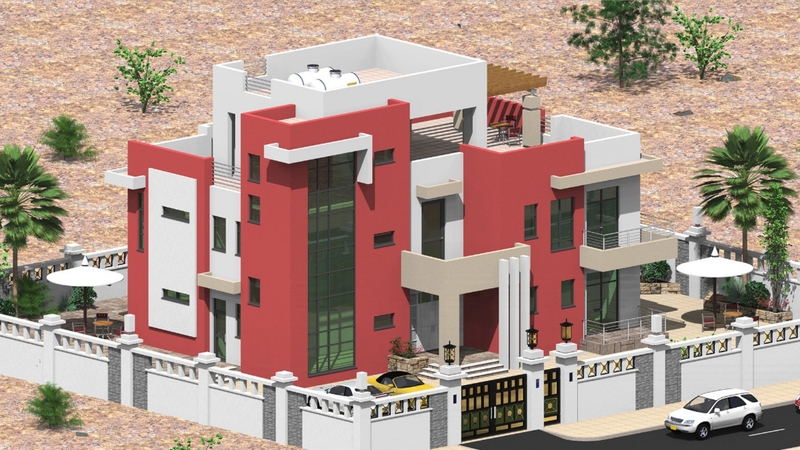 The building is constructed as concrete framed, hollow blocks and render finishes. 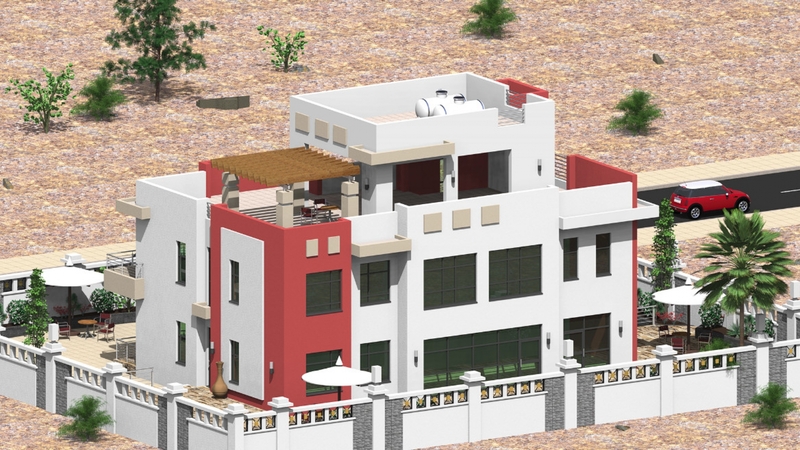 The villa consists of 3 story building, on the ground floor there is living room which is more formal living room with dinning room, and connected to the kitchen, both living room and dining and kitchen has access patio area. Also, at the ground floor there is guest room with ensuite shower room, from the hallway a shared shower room, store cupboards and stair case leading to the first floor. 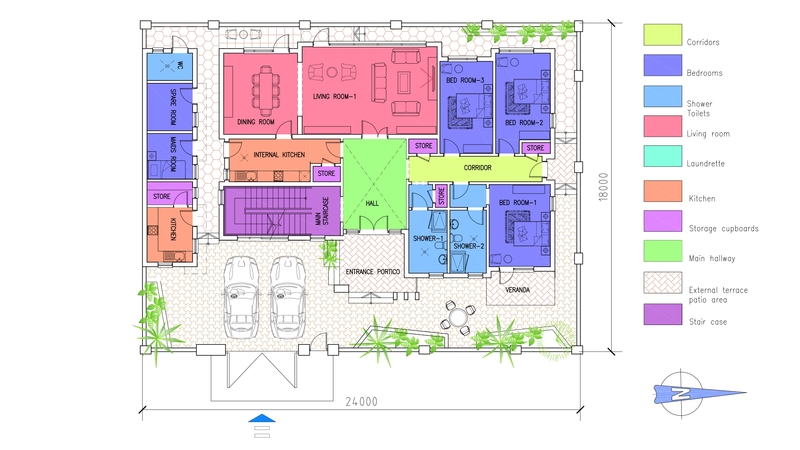 On the first floor, there are 4 bedrooms, 2 bedrooms has ensuite, one shared bathroom, store cupboards. The bedrooms 3 of them have large balconies, there are 2 connecting hallways. The muster bedroom has walk-in cupboard and large bathroom ensuite. On the second floor, there is open terrace, open space and large timber pergola, very specious area could be used as family gathering events, dinner on the roof, snooker table or seated TV area. 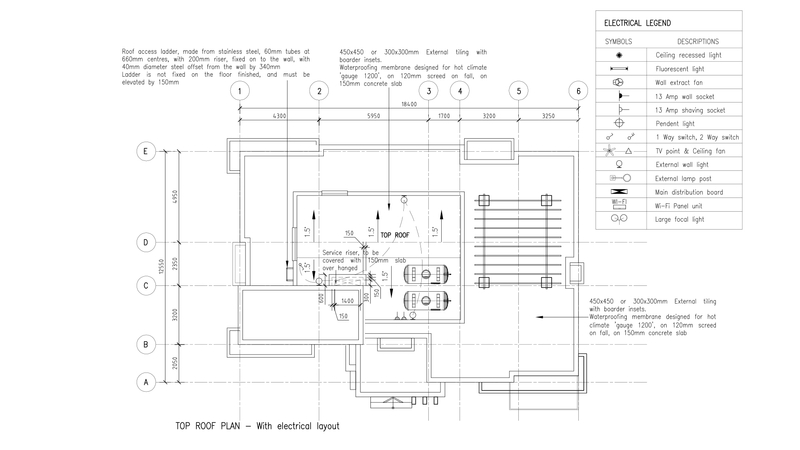 The top roof houses water tanks, solar panels and air-conditioning units. Externally in the front garden the villa has large front garden, covered garage and security block with toilet. The rear of the villa there is service block with kitchen and store, maids room and external WC with shower. 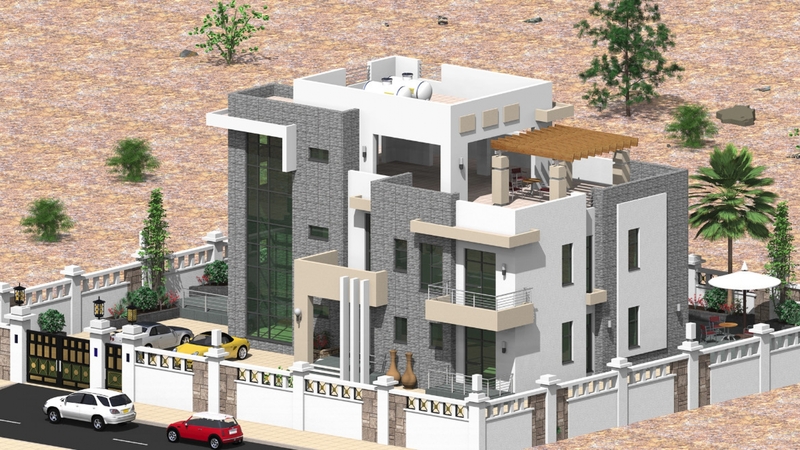 The villa has 4m gate for cars and 1.2m door for normal access, the security wall complements the villa architecturally.